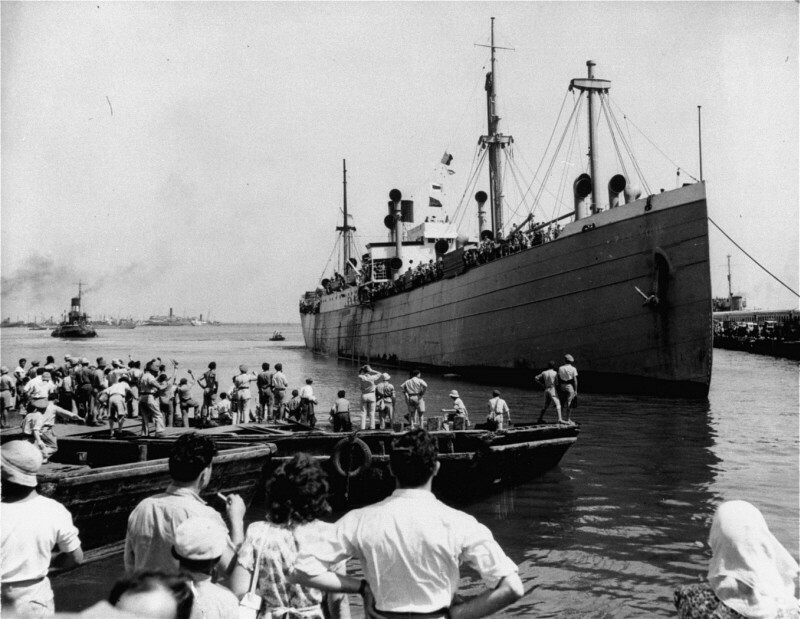 The Jewish refugee ship Pan-York, carrying new citizens to the recently established state of Israel, docks at Haifa. The ship sailed from southern Europe to Israel, via Cyprus. Haifa, Israel, July 9, 1948.